Many churches have Christmas Eve candlelight services, and there are plenty of church suppliers willing to sell you candle kits for your congregation. Generally these come with white wax candles and paper drip protectors. I think this these candles are just plain ugly. Then, you have to mess with installing the drip protectors—and then pray that everyone keeps the protector on so wax doesn’t get everywhere. A few years ago, we got rid of our white candle sets and started using beeswax taper candles made by an Orthodox church supply company in Iowa. Dripless. Did I mention that they are dripless? No need for drip protectors. As long as the candles are held vertically, and there isn’t a big breeze blowing through your church, the candles will fully consume. No dripping wax—and no need for paper drip protectors. Their customer service is not really quick. Expect the email or phone message you leave to take a little while to be answered, but we have been very happy with their products for years. The candles have a shelf life. Since they are all beeswax, don’t order five years’ worth of candles at a time. 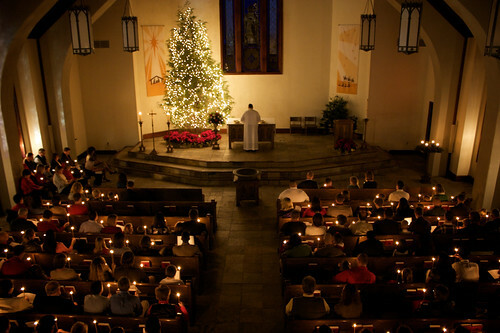 We use the same candles for all our candlelight services (Vigil, Lent, Advent). 100% Beeswax candles, order by pound. 3635 Cottage Grove Ave SE, Cedar Rapids, IA 52403.